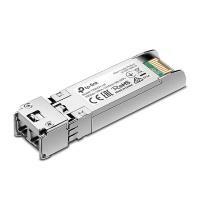 The TXM431-LR is designed to extend transfer distance based on 10Gbps Ethernet connectivity. It is a 10GBASE-LR high performance 1310nm single-mode SFP+ transceiver. It supports full duplex, and 10G Ethernet connections up to 10km with 9/125µm fiber cables.